Jasmine Guy, Darryl M. Bell, Cree Summer and Kadeem Hardison were spotted together again in Atlanta earlier this week. If you are a fan of ‘A Different World’ you’ll remember these four cast members as Whitley Gilbert, Ron Johnson, Dwayne Wayne Freddie Brooks. 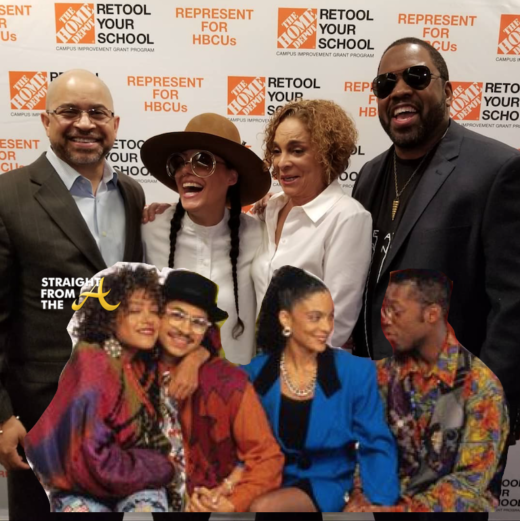 The cast reunited at Home Depot headquarters in Atlanta to help award $360,000 in scholarship funds to HBCUs.